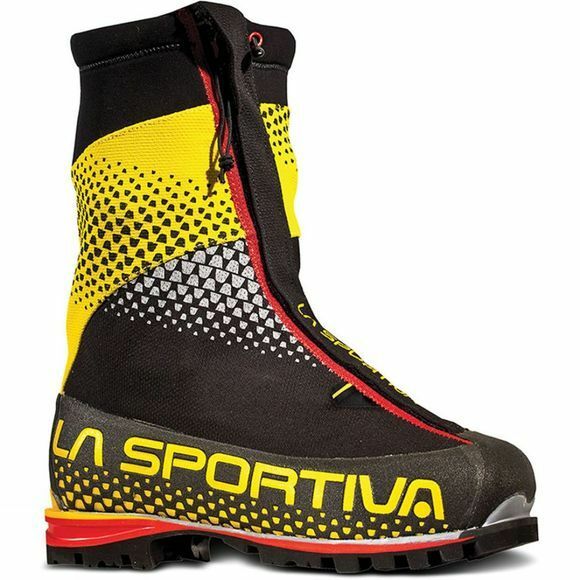 Developed in collaboration with world-renowned Italian alpinist Simone Moro, the G2 SM Boot from La Sportiva is a technical, warm, extremely lightweight double boot, that is the ultimate must have for mountaineering. Using the Dual Boa Closure System for the upper and lower sections of the inner boots, you get an excellent fit that can be adjusted to suit you and the conditions you face in a matter of seconds. Vibram's Matterhorn sole keeps your feet where you left them, with Impact Brake System to help your acsents and decents go without a hitch. A honeycomb carbon fibre insole keeps the weight down, but still provides you with a fit like no other.